In the pursuit for excellence in the business operations, every organization assigns associate analyst responsibilities to the new entrants or junior level employees. Associate analysts are basically involved in the research and investigation for a specific business process or a department. Their findings help the senior staff to take further decisions for a process or project. This subject gives insight about how to apply analytics on data using R. Statistical data can be summarized and revisited easily using R and connecting NoSQL databases easily. Through this module one can become professional and build projects for business applications using R and also learn soft skills which helps to work effectively in the Indstry. While Analytics as a term has been around for some time now, ‘Big Data’ is a more recent phrase. It has come into existence because of the sheer volume of data that is being generated today in almost every aspect of our lives. Big Data is data that is too large and complex for conventional data tools to capture, store and analyze. When put to good use, Big Data allows analysts to spot trends, extract insights and make predications. Just one flight from New York to London generates about 10 terabytes of data! Around seven billion shares are traded every day on the US stock markets. Walmart collects 2.5 petabytes of data from customer transactions every hour. 10,000 credit card transactions are made every second. Owing to this trend, there is a growing need to provide professionals with Big Data Analytics Training. JNTU Hyderabad too has taken cognizance of this emerging need for Big Data professionals and is offering Big Data training especially in the area of advanced Analytics. JNTUH’s Data Analytics courses are enabling learners to move up the career ladder, with specialized skill sets that organizations need today. Predictive Analytics is the scientific process of deriving insights from raw data to support decision making. Through this predictive analytics course students will learn how to use analytical techniques using the R language to solve business problems. This is a comprehensive data science course which will take you from the basics of statistical techniques, R language right up to building predictive models. By the end of this course students will be able to develop projects on predictive analytics. 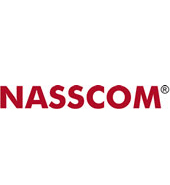 The information contained herein has been obtained from sources reliable to NASSCOM, JNTUH and open content available on various websites. JNTUH disclaims all warranties as to the accuracy, completeness or adequacy of such information. JNTUH - Skill and Development shall have no liability for errors, omissions, or inadequacies, in the information contained herein, or for interpretations thereof. 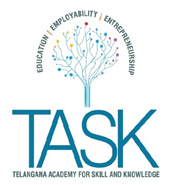 The sole purpose of development and preserving the content in this portal is exclusive of free distribution to the students under teaching - learning process for their benefits who are training under special training program initiated by the tri-party MOU between JNTU, NASSCOM and TASK. No part of this content developed in this portal has been used for any commercial purpose. JNTUH would be grateful for any omissions brought to their notice for acknowledgements in updating and content of the portal. No entity in JNTUH shall be responsible for any loss whatsoever, sustained by any person who relies on this material. No parts of content of this portal can be reproduced either on paper or electronic media, unless authorized by JNTUH.